CopperHill Consulting has partnered with a select group of companies to provide a range of professional services to meet our customers’ needs. We also provide custom development and integration services to extend our partner solutions. This allows us to design and implement solutions to achieve exceptional outcomes for every organization. The Salesforce.com customer success platform allows your organization to sell, service, market and build applications on a single platform. Let us show you why this is critical to success. 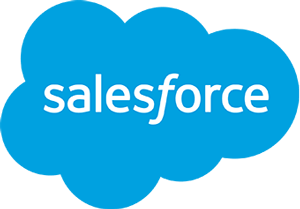 At CopperHill our consultants design salesforce.com solutions tailored specifically to the needs of your business in order to ensure you achieve your goals and objectives. Amazon Web Services (AWS) creates the services and products needed to support your business in the cloud. Just a summary of its offerings includes servers and web applications, storage and hosting, security and compliance, analytics, and developer tools. Our consultants and developers will work with you to understand your goals and needs, then implement – and customize – the productivity tools necessary to achieve success. As a certified implementation partner of NewVoiceMedia, CopperHill Consulting can help your organization unlock the power of NewVoiceMedia. Combined with our deep knowledge and experience on the salesforce.com platform we can guide your organization to take full advantage of all the capabilities of your integrated solution. Working withNewVoiceMedia, we will help to deliver a personalized and unique customer service experience and drive a more effective sales and marketing team. We can help you gain better insight into where your business is going, and where it needs to be. Literally. CopperHill Consulting can help you integrate MapAnything into your Salesforce to improve productivity, increase revenues, and gain better visibility into sales territories. Conga’s solutions help to simplify and automate document generation, contracts, data, and reporting to help you work more efficiently. We can integrate this into your CRM to manage and improve business processes.